Lot consists of two different, full, sealed (never opened) small sample product cans for Dr. LeGear’s brand veterinary lice killer product (metal top and bottoms, w/ cardboard body). 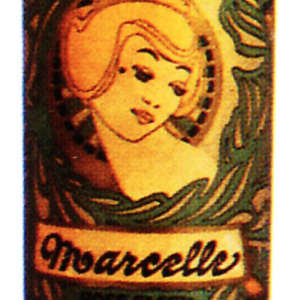 SKU: 74-125. 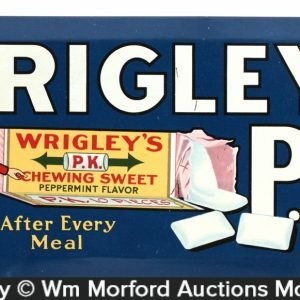 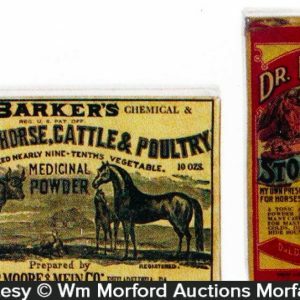 Categories: Antique Tins, Antique Veterinary. 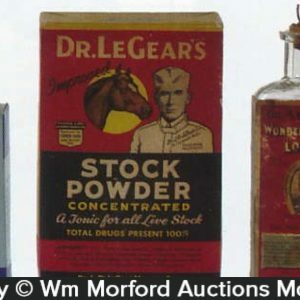 Company/Brand: Dr. L.D. 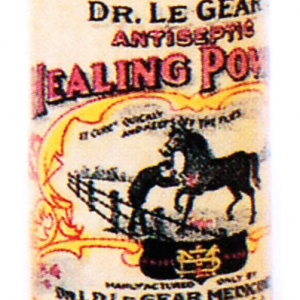 Le Gear Medicine Co., Dr. LeGear's Lice Powder. 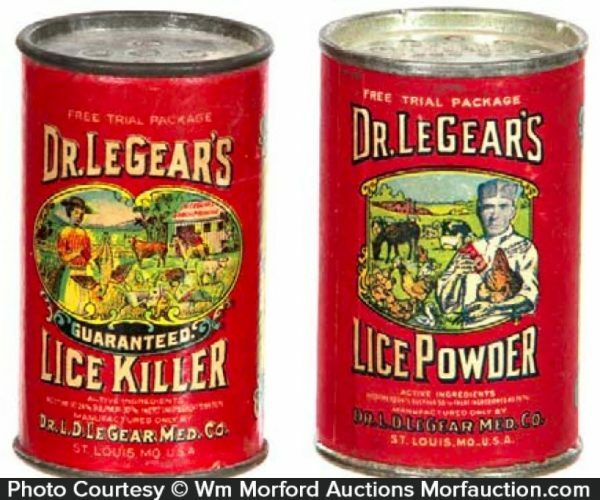 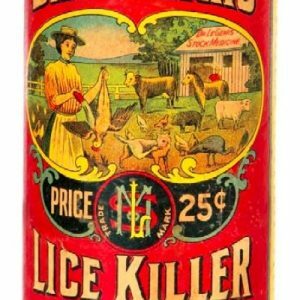 Dr. Legear’s Lice Tin: Lot consists of two different, full, sealed (never opened) small sample product cans for Dr. LeGear’s brand veterinary lice killer product (metal top and bottoms, w/ cardboard body). 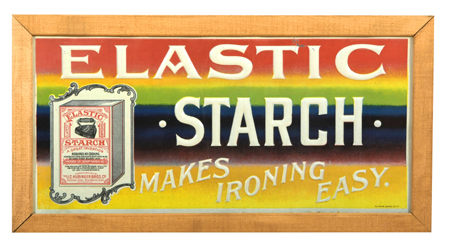 Both are clean, bright and very attractive (C. 8.5).